No one was injured as the huge tubine threw burning hunks of material a hundred metres to the ground. 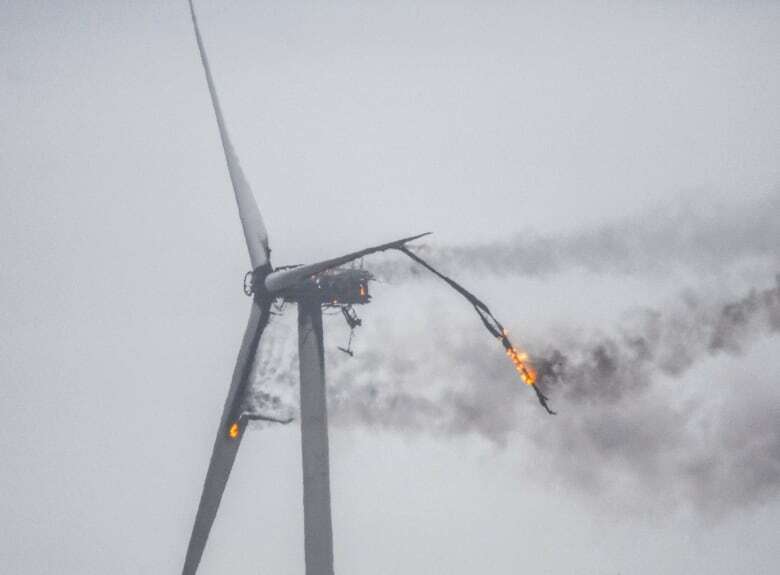 "We couldn't get nowhere near because the blades was still turning, so, and pieces was breaking off the blades," he said. 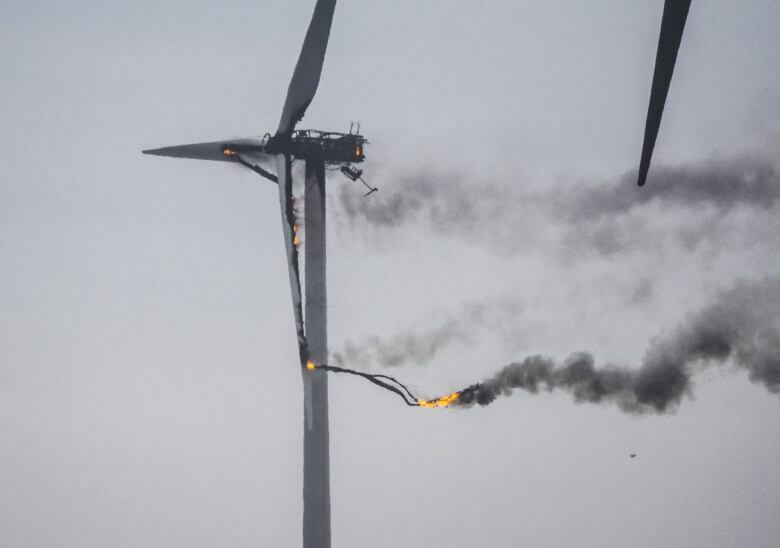 "So if a piece was to fall off, it would go a long ways with the wind and that. So it wasn't safe to go nowhere near the tower at all." "There was nothing we could do more than watch what was falling down and if the ground was to catch fire, just to put it out on the ground." 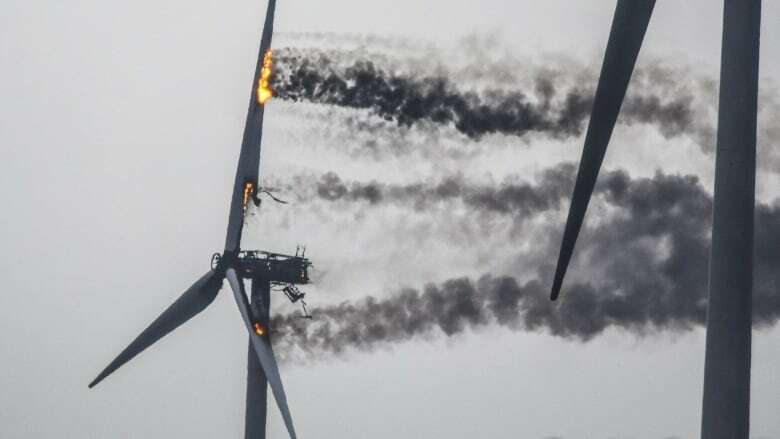 Amiro said two of the blades were completely burned and the nacelle, the gearbox at the centre of the blades that's "almost as big as a school bus" was also seriously damaged. Amiro said it's a good thing it was raining and the ground was covered with snow. "If that would have been August, we'd still be there trying to put wood fire out," he said Saturday morning.